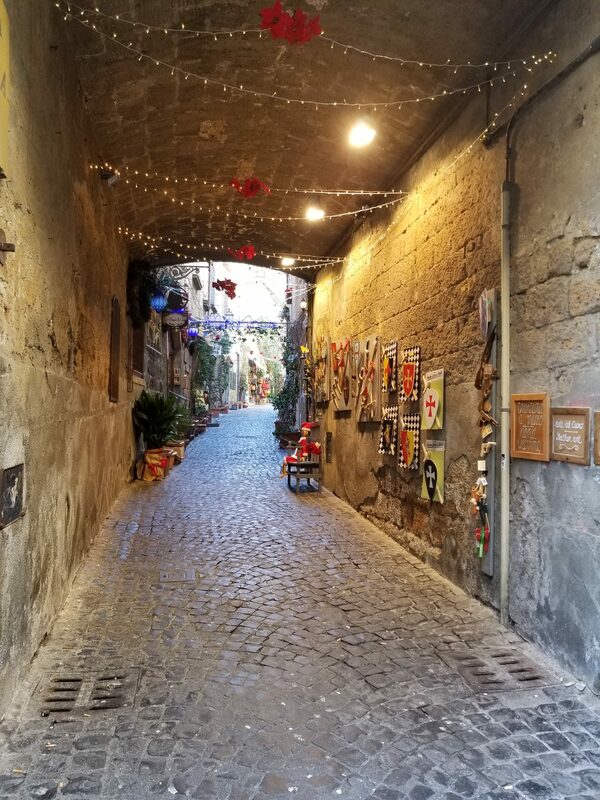 Orvieto is one of the oldest cities in Italy and is an enjoyable day trip from Rome. It took us about 90-minutes to reach Orvieto by train. It sits majestically high above the down below on a chunk of “Tufa” volcanic stone. Unfortunately, the day we visited it was quite cold and windy. Due to the weather, we didn’t get to see one of its famous sites, St. Patrick’s Well. Orvieto is a small city in Umbria, Italy. It has two distinct parts; the old-town hilltop and the new town below. When you arrive, train passengers can walk right out to the main street. If driving, you can leave your car for free at the bottom or drive up to the medieval upper part of town. We took the Bracci Funicular which was €1,33 per person, each way. We had never been in a funicular before and it was quite a unique ride. For almost a century, this funicular (named after the person who financed it; Giuseppe Bracci) worked on water. It was closed at the end of the seventies and reopened in June 1990 redesigned and rebuilt on the old route but now longer powered by water. 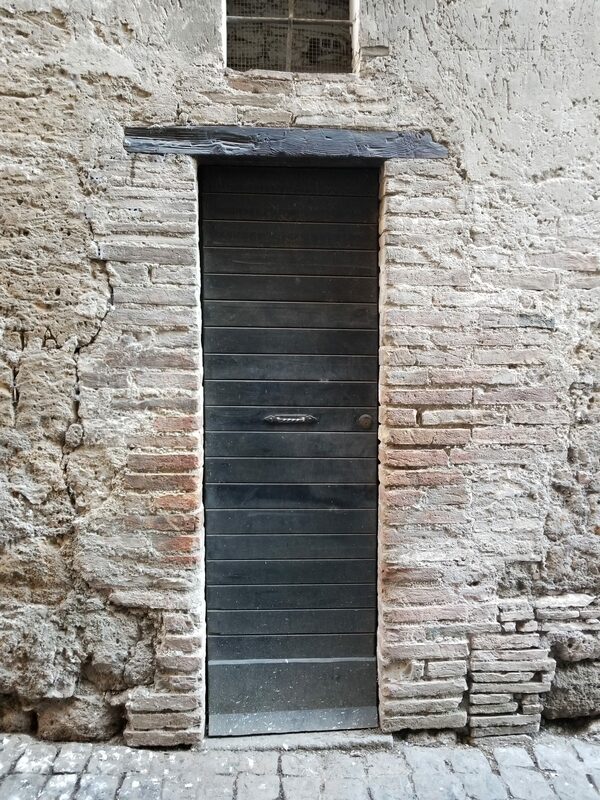 Of course, I had to include a few door photos from our day trip. 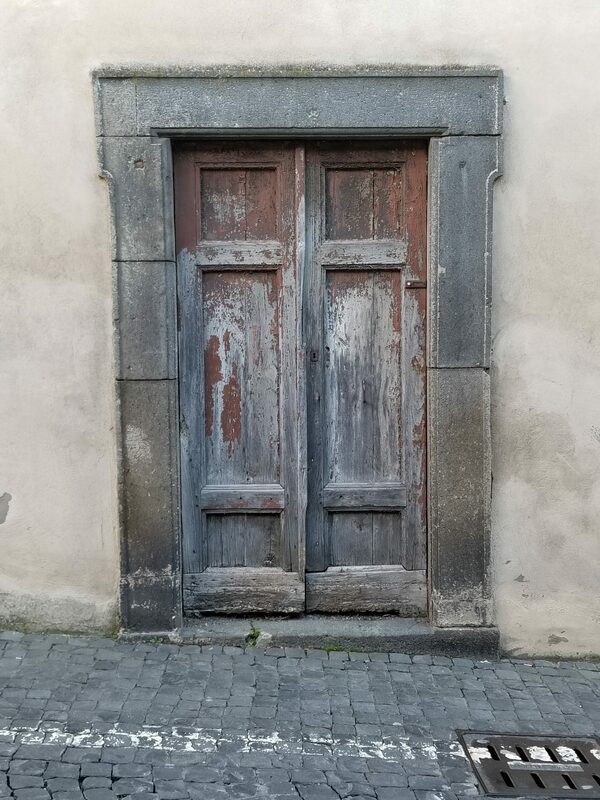 I just can’t help but think when I look at a door, why the shape was chosen or even the color. 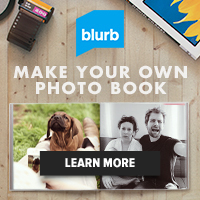 One of my favorite things to photograph. The Duomo dates back from 1290 and has a beautiful mosaic façade. 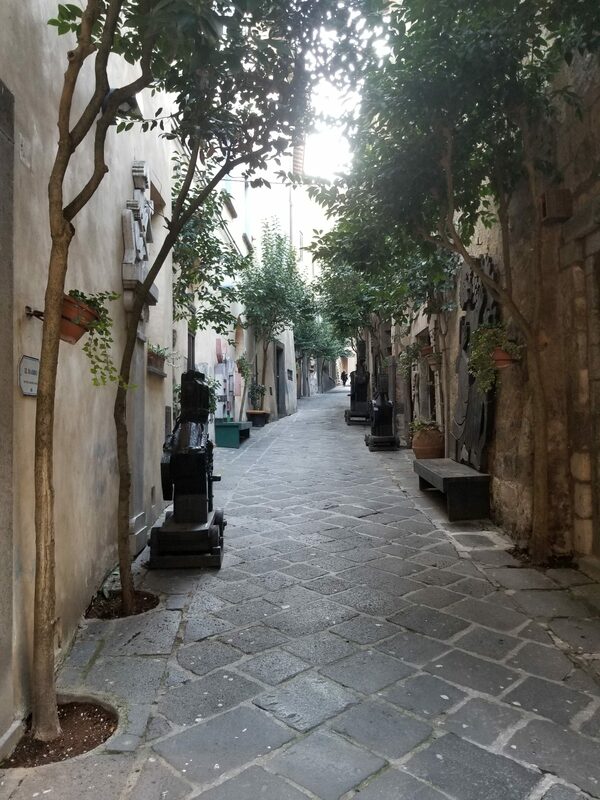 It sits in the main part of town and can be seen down from the narrow streets. 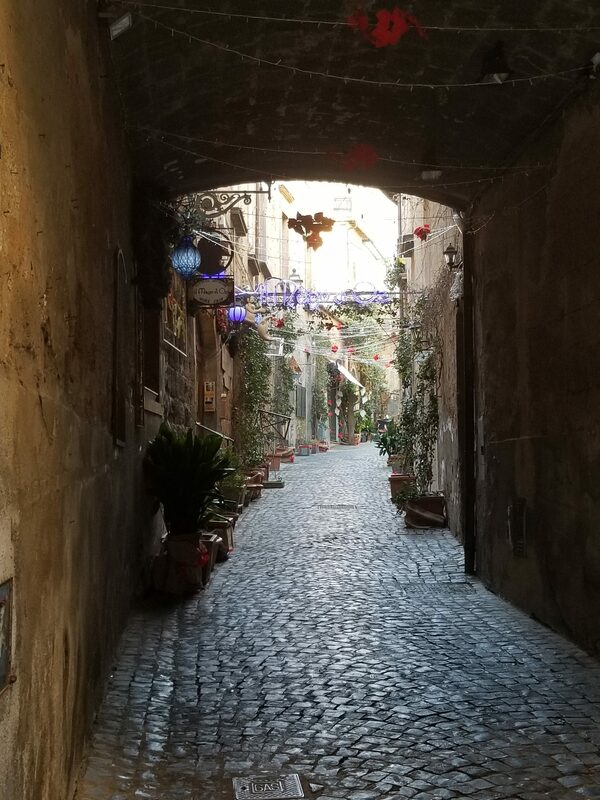 We spent about an hour walking around inside before heading out to explore the small, narrow cobblestone streets. 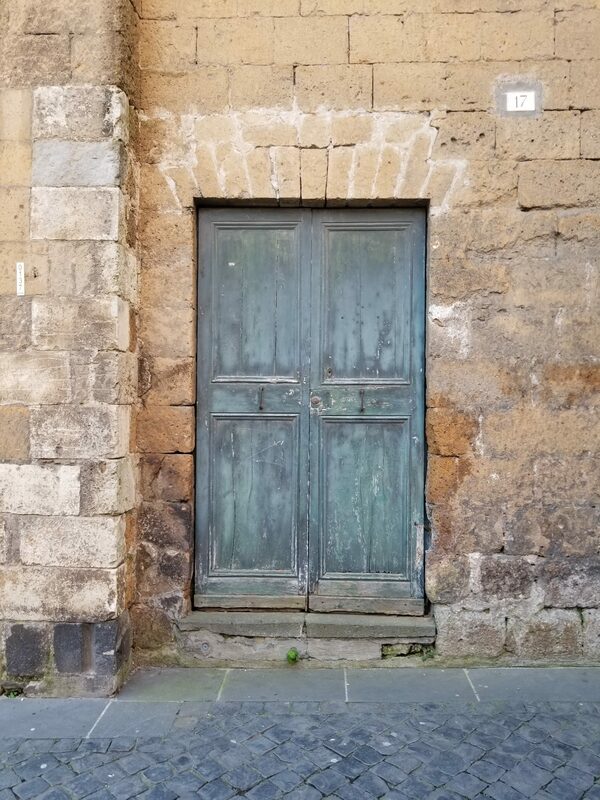 As always, my obsession for the wooden doors of Italy continued in Orvieto. 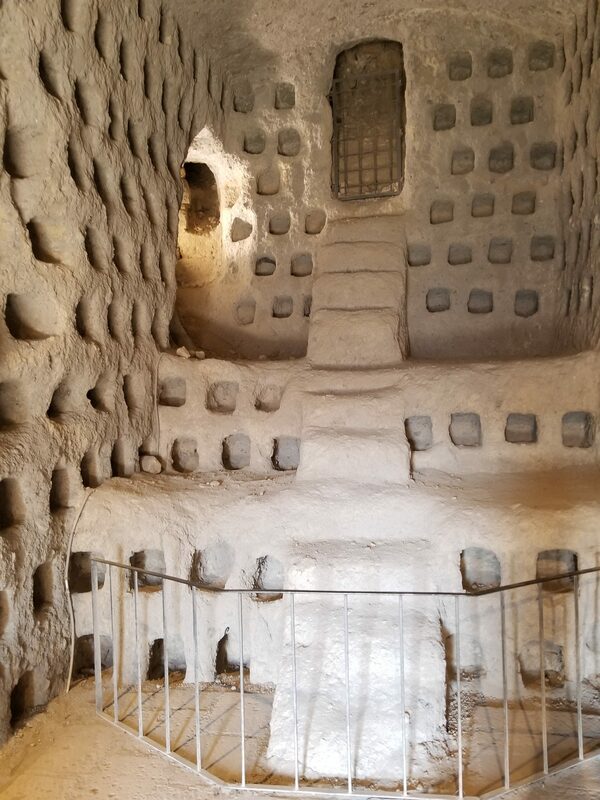 Orvieto also contains an underground world. The town sits atop a vast underground network of Etruscan-era caves, wells, and tunnels. We took a guided 1.5-hour tour of the medieval caves which offer a glimpse into how these ancient Italians lived. 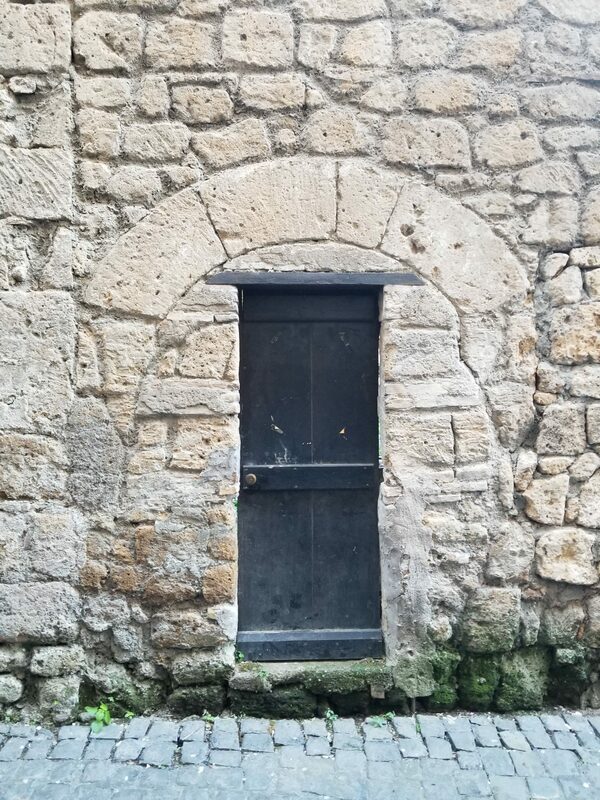 There were remains of an old olive press and we learned that they raised pigeons for food in case they were ever to fall under attack. Our guide told us that even today they serve pigeon (Piccione) dishes in many of the Orvieto restaurants. 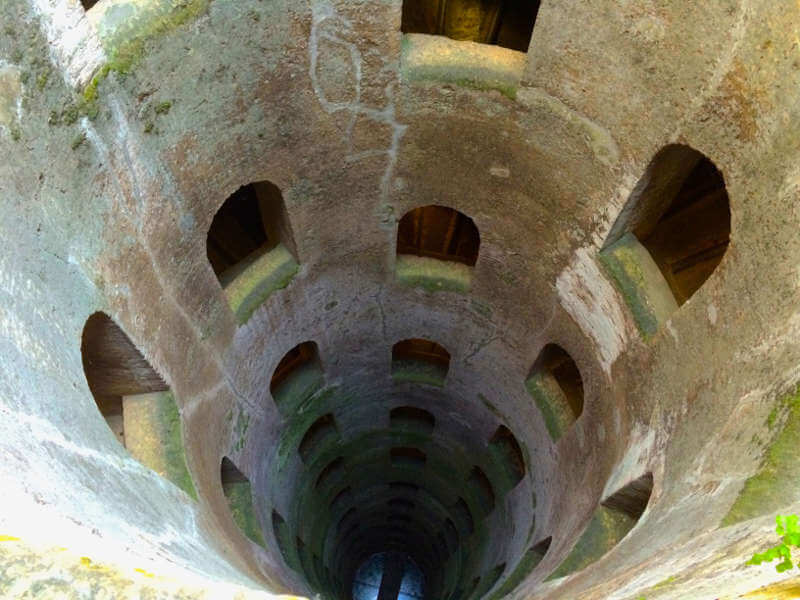 There are more than 1,200 tunnels discovered in Orvieto’s underground. 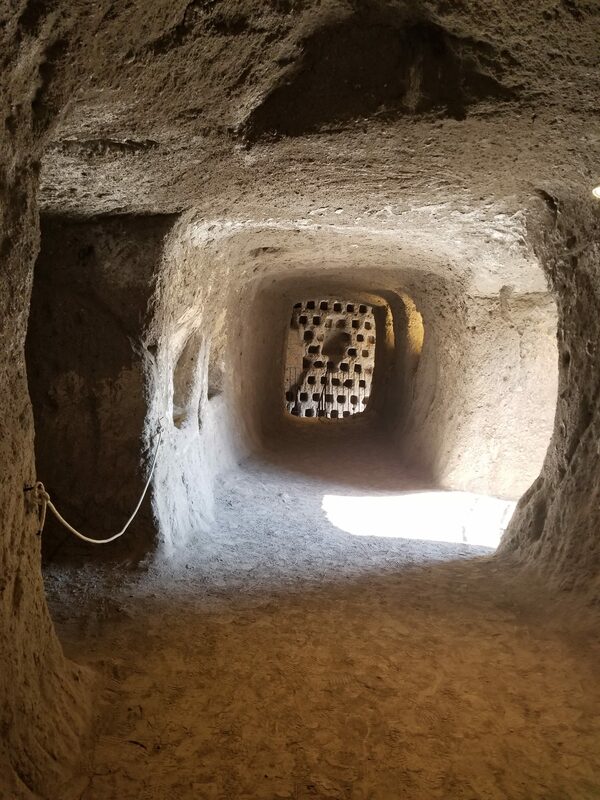 Many of the homes of noble families were equipped with a means of escape from the city during times of siege through secret tunnels which were caved from the soft rock. 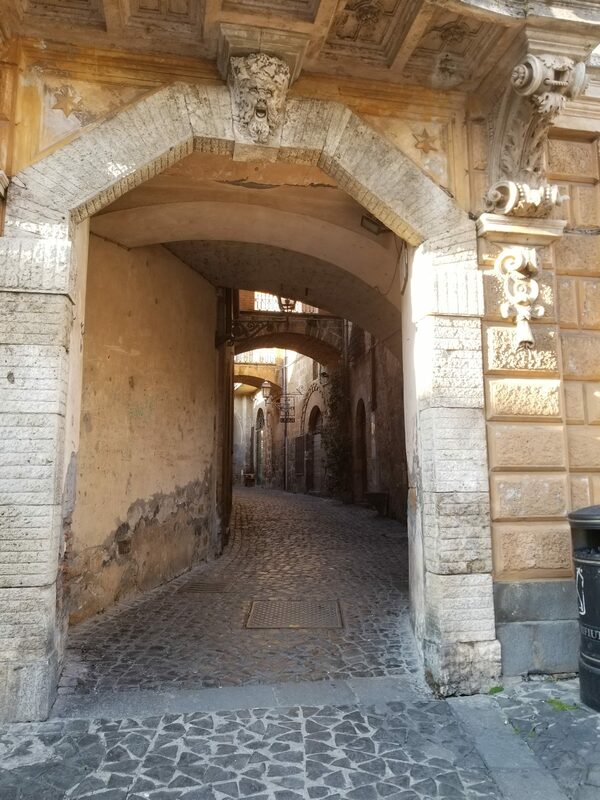 We wandered the streets of the medieval part of the town. Not too many people were out and about, probably due to the weather. We never even explored the new town below as it seemed to have no character. St. Patrick’s Well is located at one end of the town near the communal gardens and the Albornoz Fortress. It is 175 feet deep, 45 feet wide, and 248 steps down. The well was built in 1527 by Antonio da Sangallo as a water supply for the city. Wanting to ensure they had water during a time of siege, he built this extravagant well, with two spiral stairways leading down to a bridge from which people could scoop up water. As I mentioned earlier, we did not get a chance to go down the well; the weather was cold and we decided to enjoy lunch instead! The name of St. Patricks Well comes from the analogy with the legendary cave which was located on an island in Lough Derg, Ireland. This was a place of pilgrimage in medieval times. We heard but didn’t taste, about Orvieto’s famous wine. 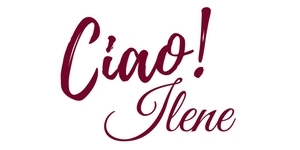 I thought the name was pretty silly (Est, Est, Est) but found out it is a white wine and well known in this area of Umbria. 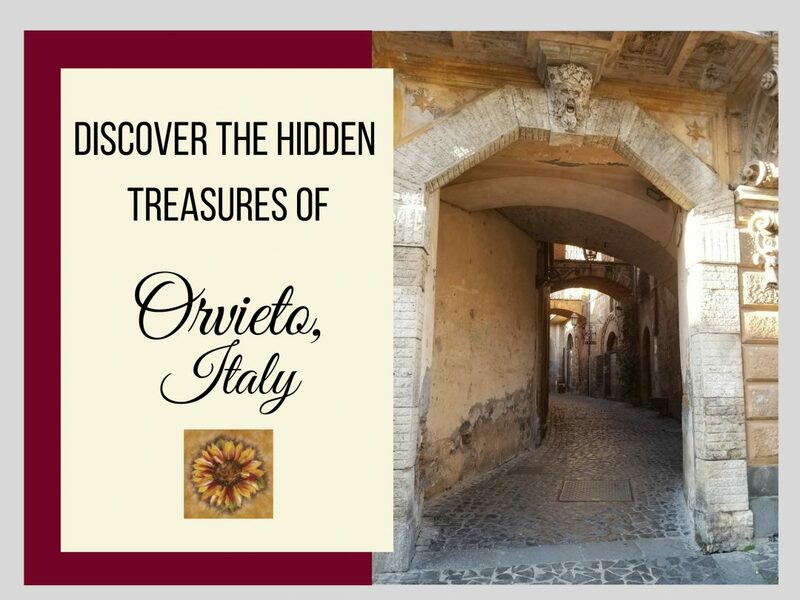 We recommend if you are ever in the area to stop and explore Orvieto.